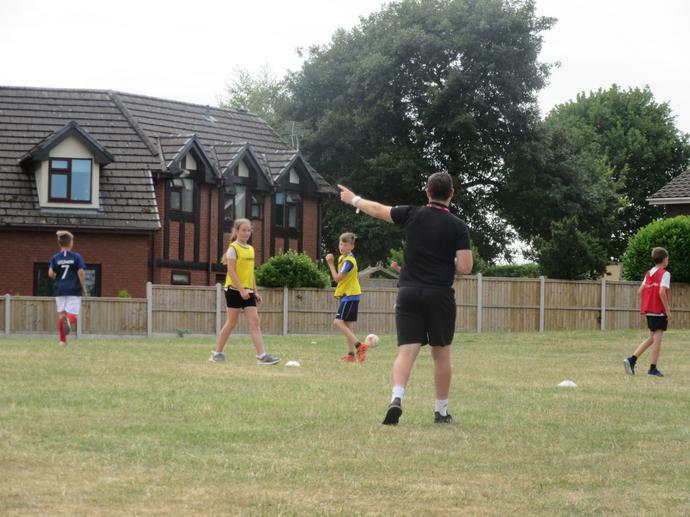 Today has been our last day of working with Wrexham FC as part of the premier stars program. 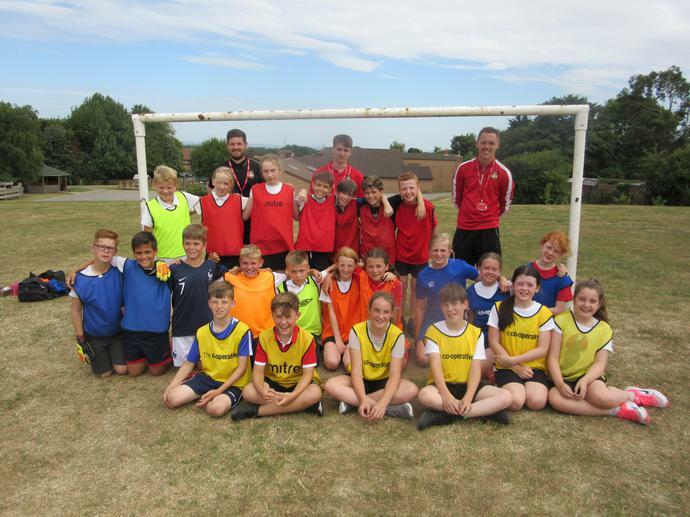 Members of Wrexham FC have been working with KS2 pupils over a 6 week period on work which links to the world cup, through geography and PE. We hope to work with the club again in the future. 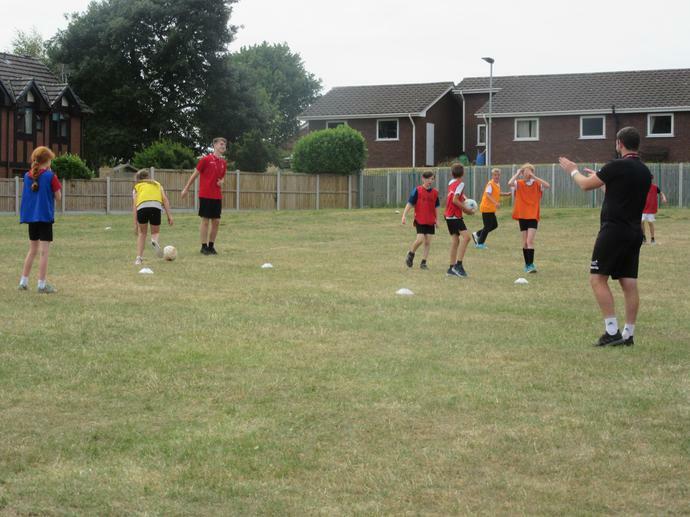 Photograph shows year 6 at the end of a hot and tiring football match!